All this and MotionPlus. Amazing. 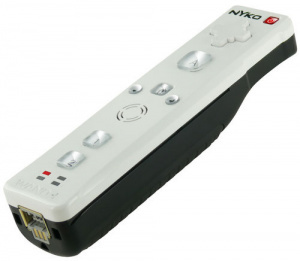 If you're fed up of clicking that MotionPlus accessory into the bottom of your Wii Remote, you might want to consider picking up Nyko's new Wand+, which features the accessory built inside the controller itself. Arcane magic indeed. Here's what Nyko has to say about its new creation. By building the technology into the controller, the Wand + provides all the functionality Wii gamers expect, plus the versatility and convenience they deserve; no more dongles, no more custom sleeves or incompatibility with docks and other accessories not able to accommodate attached dongles. Priced at $39.99 and due for release in March, this could prove to be a very smart buy for Wii owners who don't fancy buying extra Remotes and MotionPlus attachments just to get the most out of Wii Sports Resort, Red Steel 2 and company. I'd definitely wait on reviews for this. I don't ever hear many good things about Nyko products, including their current Wii controllers. It doesn't really look that great but the idea is awesome. Same here, I will just wait for people's in take on this one. Yeah better wait for some reviews first to make sure it works as well as. Their gun shells get pretty good notes and they have one that actually works with their previous wand electronically rather than using levers like other Wii gun shells. The Nyko Perfect Shot is a MUST have for anyone who plays the RE Chronicles, House of the Dead, Ghost Squad or any other "light gun" game. Right, so if Nyko can do it, why can't Nintendo? Fantastic idea. And it's the same size so it fit in all my guns and wheels. This thing is UGLY and it looks cheap. I hope Nintendo makes a new m+ controller soon. Especially if more games are going to use it like the new Zelda. I have avoided M+ to date because of the problems I have heard about it, plus I really don't want another peripheral to keep up with. Will it even be possible to turn off the Motion Plus functions? Can't seem to find any button for that purpose. I mean, some games require you to remove add-ons, and if there isn't such a function, it would make this controller uncompatible with some Wii games. It would have been REALLY smart for Nintendo to do this with the new colored remotes. If they had, I'd have bought them by now. On the other hand I don't know the details of costs. It probably costs far less to manufacture a ton of the little motion plus add-ons than to design and ship a new wii remote... err... I don't know about that though. Nintendo should just make a remote plus with a better speaker, maybe a microphone, built-in rechargeable battery, and motion plus -- maybe a better ir camera? -- and make them in gun metal grey and other "special" colors. Charge a ton, people will still pay. I tink it looks pretty cool personally. I will wait for reviews first though. I doubt you'll see first-party controllers with built-in M+ support until the next generation. Nintendo's covered with the snap-on, and now these third-party versions. Plus, there would be a lot of resentment on the part of all the M+ owners/adopters if Nintendo released a built-in after pushing the snap-on as they did. I have had decent luck with the two Nyko products I bought but then again I got them for little to nothing. I am not to keen on wanting a Wand though as I have enough Wiimotes for my uses. Good idea, cannot wait to see how it turns out. But will the buttons be better than than the typical third-parties'? 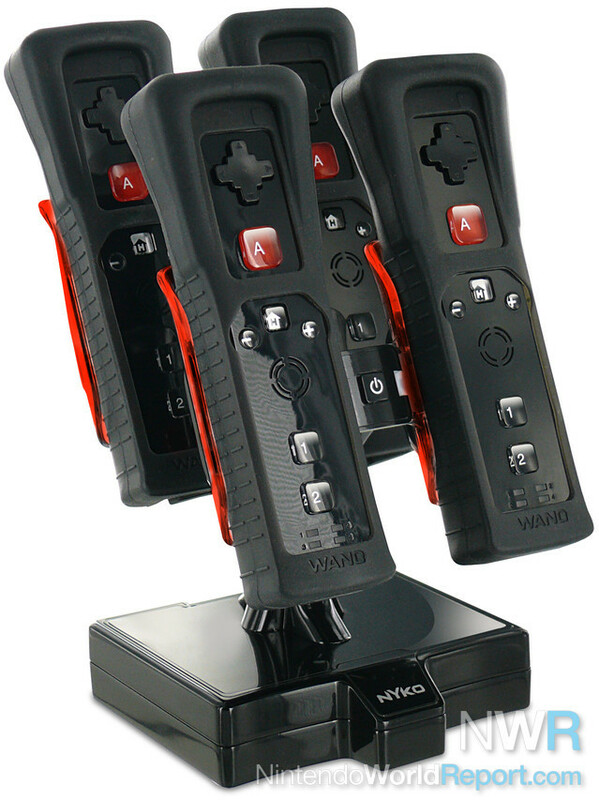 I'd heard good things about Nyko's previous wand controller so I'm not too wary of this. Granted I have five wii remotes between my two Wiis so this would be a good way to fill up the last 3 slots without having to pay extra for Motion+. I do hope they either release this in one of their "Action Packs" or make the Perfect Shot with Wand compatibility (the controller digitally maps the buttons of the wand to the trigger on the gun so its not like all other Wii guns that simply press the B-button via lever action) available on its own. I like the way it looks. Especially the bigger home button . I do kinda dislike the Dpad. I may buy them if they get good reviews. Why making look nothing like the standard WiiMote? I prefer the plain design. I don't trust 3rd party controllers. That's good. But will ppl buy it? I'm not. Buying non-Nintendo controllers for a Nintendo system is always a bad idea. There will be some inaccuracies and inconsistencies in the response, take my word for it. Wii Motion Plus drains more battery when plugged in. So having it always plugged in will just make the controllers battery life significantly lower. Wii remotes come with Wii Motion Plus already anyways. @Jalepeno: Only the black wiimote comes with an M+. The white wiimotes and M+s are sold separately. This seems like it would be a good deal though. A wiimote AND plus together for the price of an official Wiimote? That is a good deal. How will they squeeze it all together and keep it in the same shape, though? I've actually found some good reviews on the original wand. If you find it on amazon, there are several positive reviews on this wiimote. I think Nyco might be able to pull it off. Their Wii Charge Station is great, and the DSi zOOm Case works well and removes those annoying bumps on the bottom. And there will probably be a switch to change between Standard and M+ mode, because it would be stupid not to. Their classic controller alternate is pretty nice and I think better then the standard classic controller in form. However, their nunchuck is complete and utter garbage (ours lasted about 3 weeks). So they are a mixed bag, but I suspect the remote would be a safe bet. Alas, I've already got 4 remotes and 2 WM+'s, so I don't need this, but I do kind of want it anyway as I would like to be able to do away with the separate WM+ attachment. But I'm cheap, so it's not going to happen. That's Just nunchuks and guitars you have to detach! M+ stays there like nobody's business! And now you can buy Wii Remote Plus for 40 bucks. and I heard that nyko remotes constantly lose connection. @shantaego64 This is off topic but... is that a Dededoll?